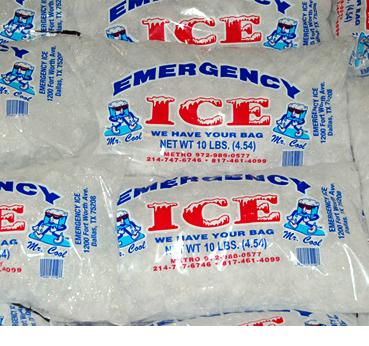 Piazza's Ice House delivers Emergency Ice 24 hours a day, 7 days a week. 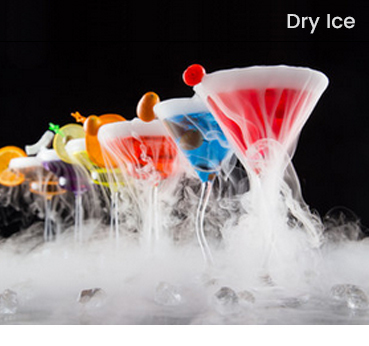 From Ice cubes, dry ice, restaurant ice, and anything in between. Too much of a good thing is good at Piazza’s Ice Cream & Ice House. 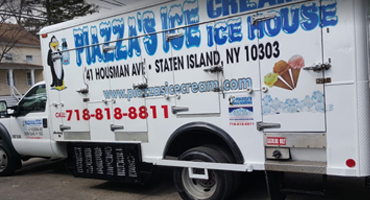 We are a full service distribution company of ice cream, ice cubes, dry ice, ice sculptures, rock salt and ice luges servicing all of New York City. We can deliver 24 hours a day, 7 days a week for emergencies and large quantities. We operate our ice delivery trucks with on-demand service and hand-held invoice devices ready to deliver ice anywhere. 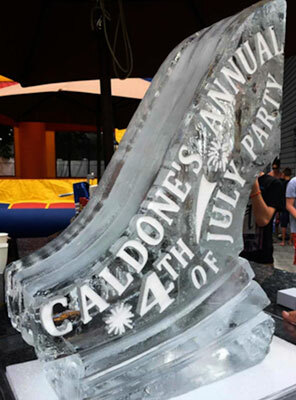 We can provide ice for events of all sizes. Monday through Friday: 8:00 am - 10:00am and 5:30pm-6:30 pm for Retail Customers. Saturday: 8:00 am - 10:00 am for Retail Customers. Sunday: 8:00 am - 1:00 pm for Retail Customers. To make arrangements for another time please call 718.818.8811 to schedule a time. We also offer Ice Luges! Perfect for your next party or event! 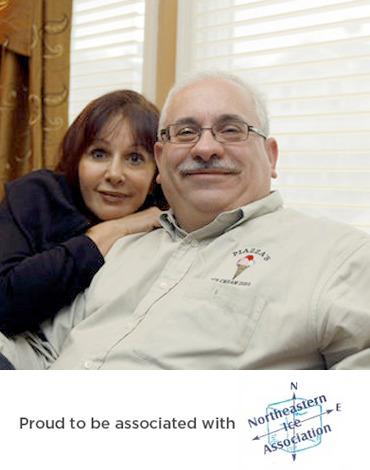 Hello, we are Patty and Sal Piazza and we have been in the ice distribution business since 1989 and supply ice products to more than 100 mom-and-pop grocery stores and delicatessens throughout Staten Island from its warehouse in Elm Park, on the North Shore. We provide the lowest prices and best service without the Stress! From small to big orders or if your are unhappy with your current supplier you will find that we give everyone prompt and courteous service with expert knowledge. 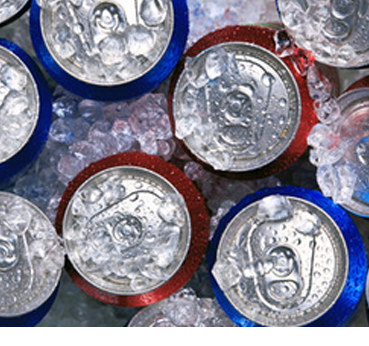 We provide all types of ice when you need it. 24 Hours a day. Prices and service were great, Transaction was Easy and quick!! I HIGHLY recommend this place! Everything I needed for my Party! Great people, Great Ice Cream, Great service, see you at our next block party. Thanks for carrying rock salt! I ordered sculptures from Piazza's which were absolutely beautiful. They were delivered on time and the prices were great! Great Service, Easy and quick!! Need Ice? This is where to go! 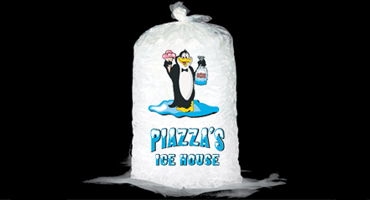 Piazza's Ice House focuses on fast, reliable, superior ice service to the Tri-State area. 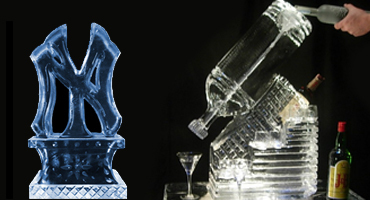 Ice is a critical success component for restaurants, bars and events. Our customers ALWAYS come first!